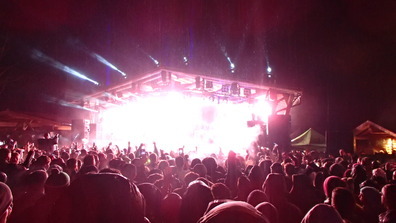 Last month we wrote an announcing article about an promising festival in Austria called Snowbombing. We were so excited about the festival that we took some days off and drove all the way to Mayrofen to experience this music-festival in the snow ourselves. 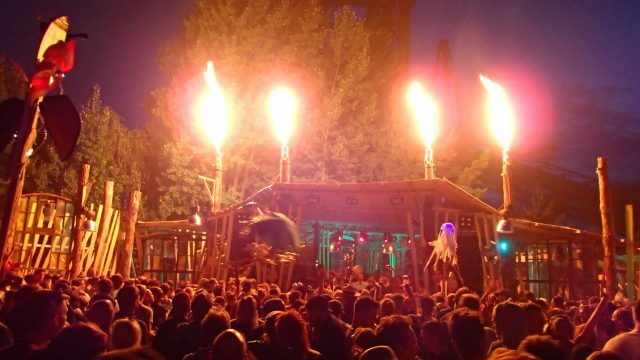 In this review of Snowbombing 2016 we will share our experience, pictures and plenty of insider-tips with you. Imagine being able to combine one of your favorite festivals with all the benefits of your perfect snow-holiday. This would mean you could enjoy the snow and slopes during the day and party with great artists at unique stages during the night. Sounds impossible? It’s not! 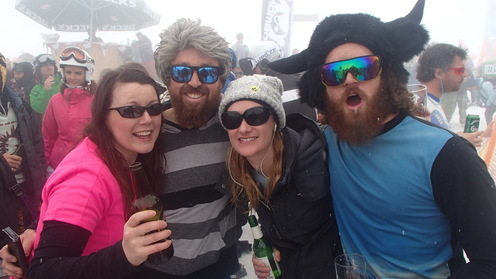 Snowbombing offers this exact picture every year in the beginning of April. The festival is organized in Mayrofen which means you can enjoy 139km of slopes during the day and dance tot he sounds of a massive line-up during the night. 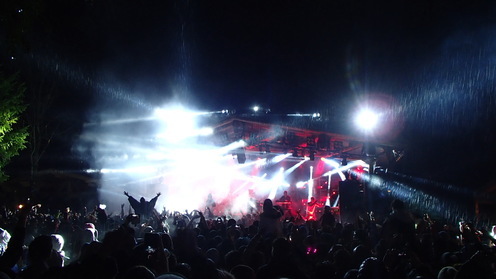 The headliner of the Snowbombing festival 2016 was The Prodigy. 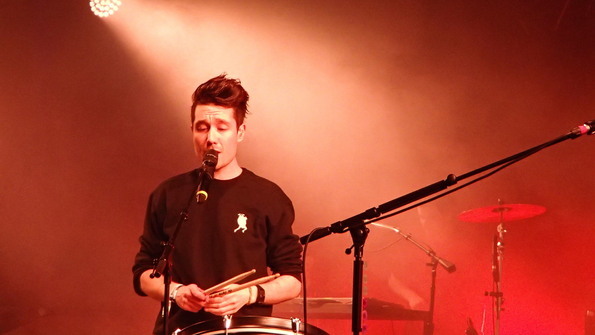 The Forest Stage on which they played is definitely one of the smallest stages they ever performed on. 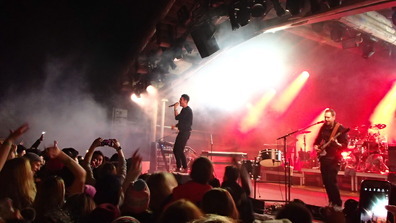 It was an incredible show and worth the price of a snowbombing-ticket all by itself if you ask me. It might surprise you how many songs of Prodigy you actually know (test here). Besides The Prodigy the performances of other acts like Bastille, Idris Elba, Anja Schneider, Fatboy Slim and Jamie Jones were also of outstanding quality. Most of the stages at Snowbombing are relatively small so you could almost touch some of these famous artists. 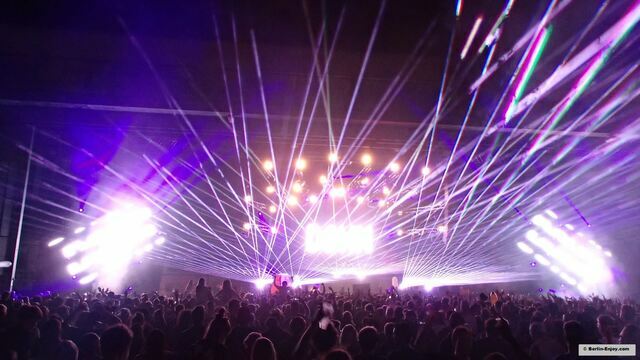 If you want to listen to some of the livesets during Snowbombing you can have a look at this soundcloud-page. 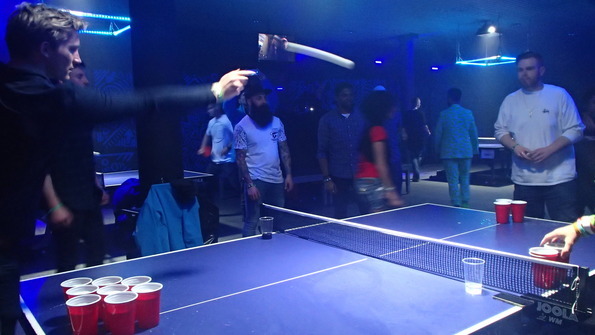 Besides the solid line-up the Snowbombing Festival 2016 also offered heaps of funny activities and events. 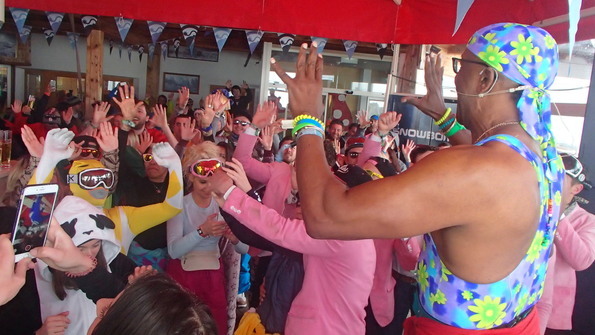 From Beerpong Championships to a massive Snowball-fight and from karaoke in a skilift to a guy called Mister Motivator. 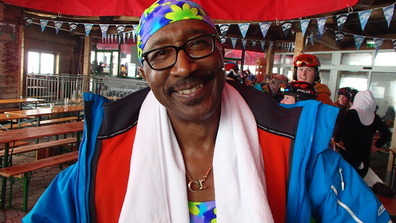 This 64 Years old fitness intructor was offering all Snowbombers a hilarious and reviving fitness session every day. 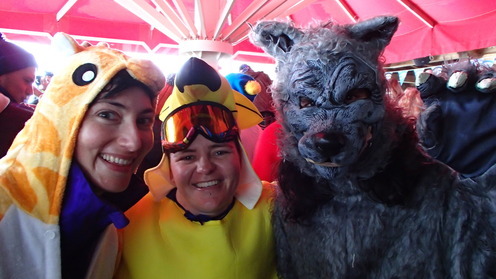 Other great events at Snowbombing were the Poolparty and the annual Street-Party where everybody had to dress up as crazy as possible. 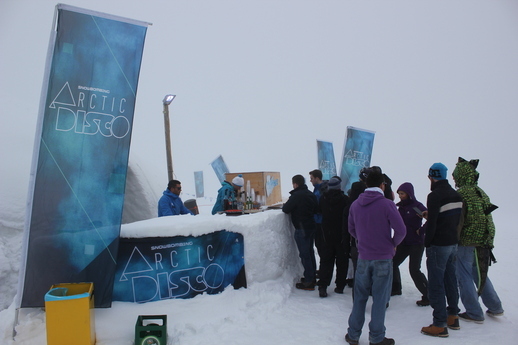 If you ever decide to visit the Snowbombing festival you should consider buying additional tickets for the Arctic Disco. This is an Iglo on top of one of the mountains in Mayrofen (at 6000 ft.) and will definitely be one of the most unique locations you will ever enjoy a party. 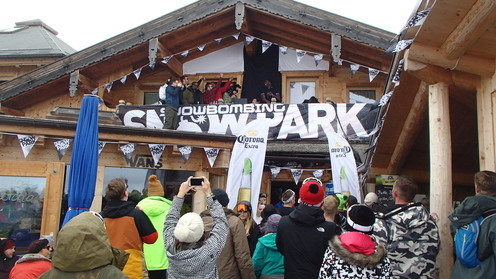 Popular DJs like Ben Pearce, Fatboy Slim, Kerri Chandler and Hannah Wants played here during Snowbombing 2016. Outside you can sit around a campfire and enjoy the sunset over Mayrofen. 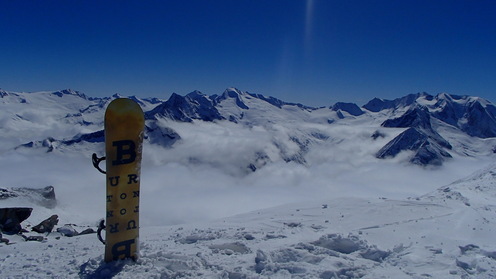 How much does Snowbombing cost? Since I got back in Berlin several people asked me how much a week of Snowbombing costs. Snow-holidays are not cheap and a festival with massive artists is also not for free. But if you buy one of the package-deals which includes accommodation and a Snowbombing-wristband you can already visit this festival for a bit more than 400 Euro. You will have to add the costs of a skipass, which will be around 200€. But if you are not planning to hit the slopes every single day you could also just buy half-day passes or even one-ride tickets to the bars up the hill. Beer-prices depend on the venue but start at 3€ in proper après-ski bars. 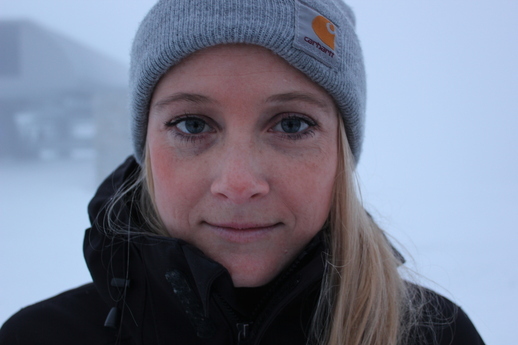 I guess in the end it all depends on how wealthy you want to live but a week of Snowbombing could start at 800 Euros already and you will still have a fabulous time. 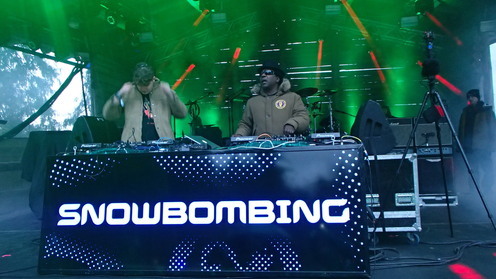 Snowbombing is definitely one of the coolest festivals I have personally experienced. 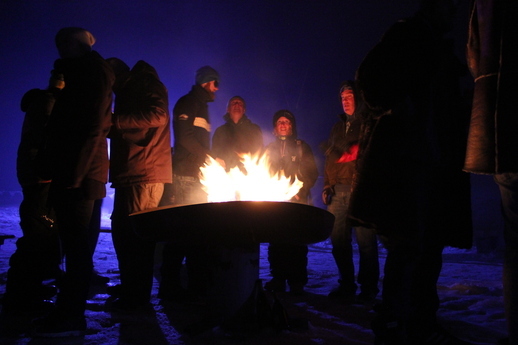 The combination of snow during the day and great parties during the night is simply unique. The atmosphere is great and I haven’t seen any fights or trouble during all four editions I have visited. We are already looking forward for next year! If you cannot wait till April 2017 to visit a great festival you can check our article with the best german Festivals in 2016. Krasse Artikeln Man! werde ich nächstes mal aufjedenfall gehen .